Simba the golden retriever was a good boy, sitting still for the vets as he donated blood for the first time. It's not only humans who rely on blood donors for life-saving medical procedures - animals need them too. 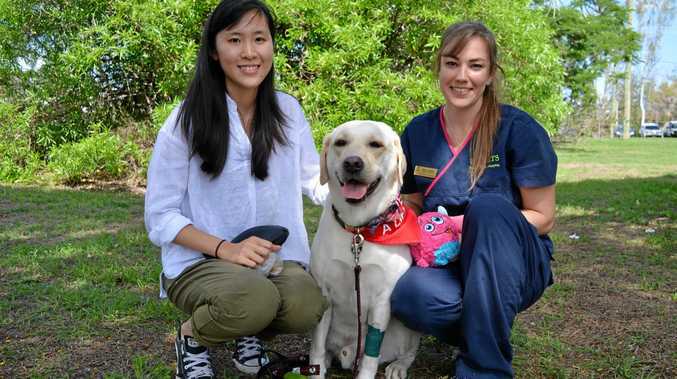 Simba's owner Irene Kong said she brought her golden labrador in to the University of Queensland Small Animals Hospital to donate because, as a vet student herself, she saw how vital blood donations were to the survival of injured animals. "When I see cases of animals in emergency situations, I realise how important it is,” Ms Kong said. UQ vets launched a Community Donor program last year to raise awareness and let dog owners know they can sign their pups up to donate blood. Nurse Manager, Gary Fitzgerald, said it was surprising how many people hadn't thought about the notion of animals needing donations before. He said there were a number of reasons pets might find themselves in need of a blood transfusion including patients who have been hit by a car or bitten by a snake. "The ones we're most concerned about are the emergency cases where we need blood right now in order to save that animal's life,” he said. He said since its launch late last year, the program had been successful. 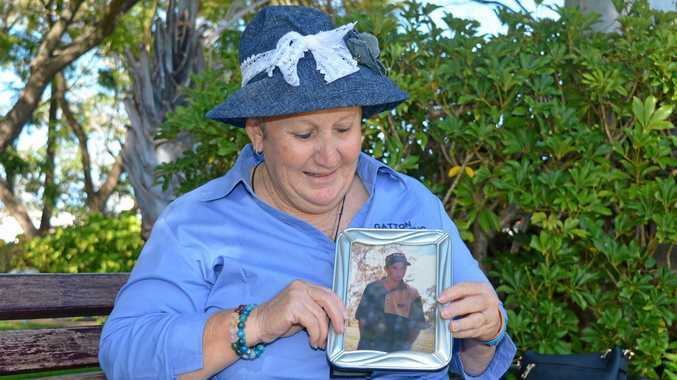 "Since starting the community blood donor program we've been getting client-owned dogs in to donate blood quite regularly if they're suitable,” he said. He said the program could still benefit from more participants. "The more donors the better,” he said.